A few nights ago I woke up at 2am and noticed the fan I have running usually had turned off. First thing I thought was I had tripped the gfci on the outlet, it’s an old outlet, we had a good storm roll in earlier and I’m certain I haven’t found all the deck leaks in the boat. So I get up and check it and notice that all the boats power is out! Quickly I flipped all the breakers off, main shore breaker off… run up top and turn off the breaker on the dock. I didn’t smell anything burning… but I’ve always been worried about the shore power connection. 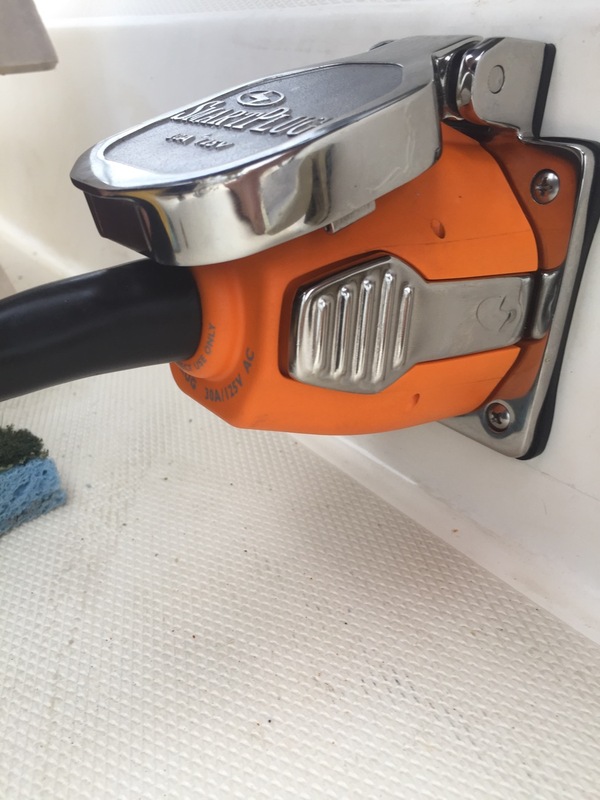 The cord that came with the boat does not have the right end for connecting to the boat; the ring that’s supposed to screw onto the boat doesn’t actually get to the outlet. 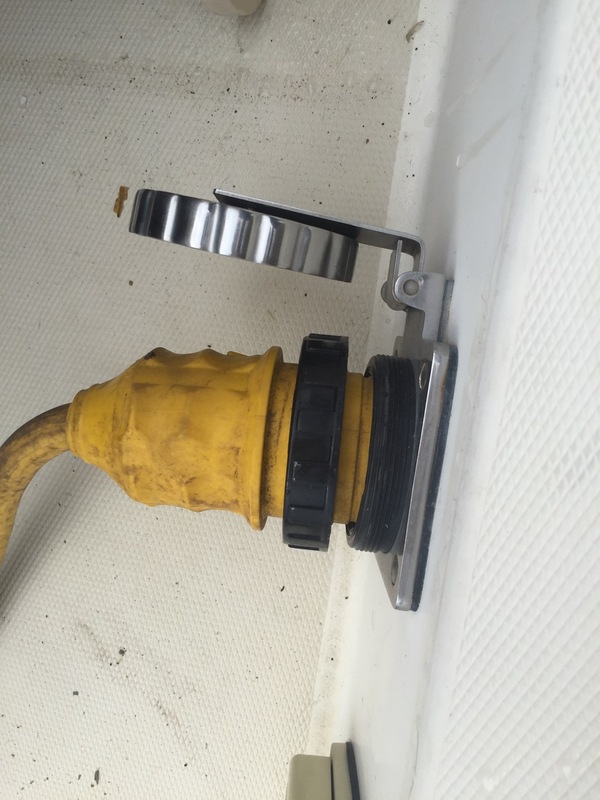 The only thing holding the cord to the boat are the prongs on the cord, which are not terribly secure. It turns out that the marina docks had lost power. 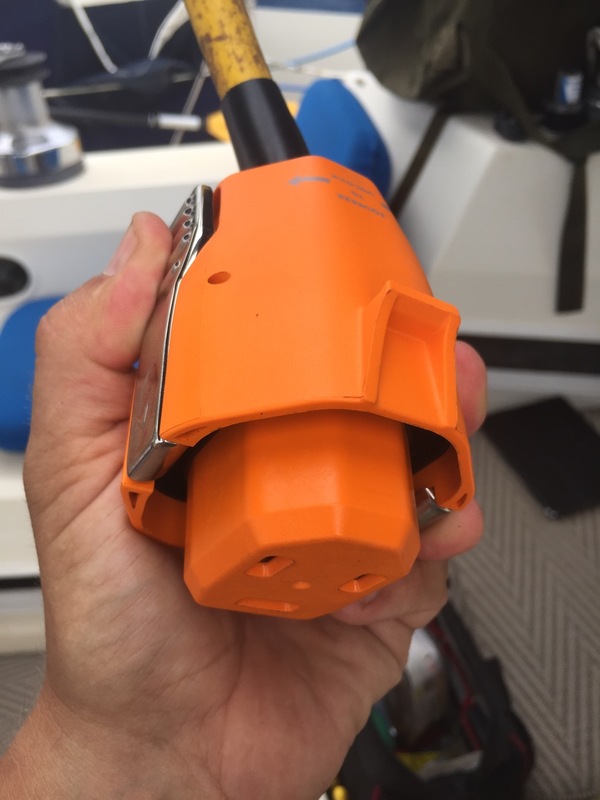 But it still made me nervous enough that at 3am I ordered a new SmartPlug (linked to Compass Marine review) from Amazon. It has been on my list of upgrades since day 1, but the 2am panic moved it to the top. 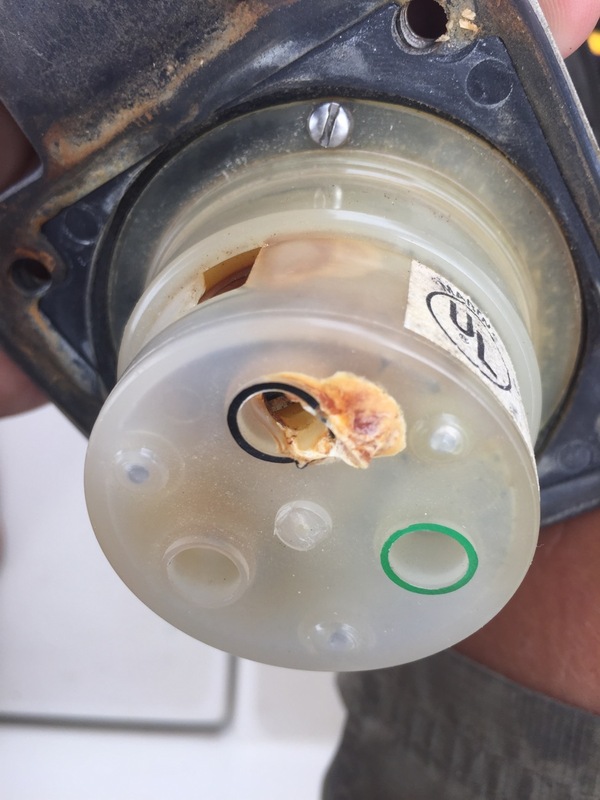 These are two pictures of the shore power plug on the boat showing where it obviously has had issues in the past, the bottom one is once I had it disassembled. This is so common with these plugs that I actually had someone tell me that “they all look like that, I wouldn’t worry about it.” This standard was apparently created in 1938. 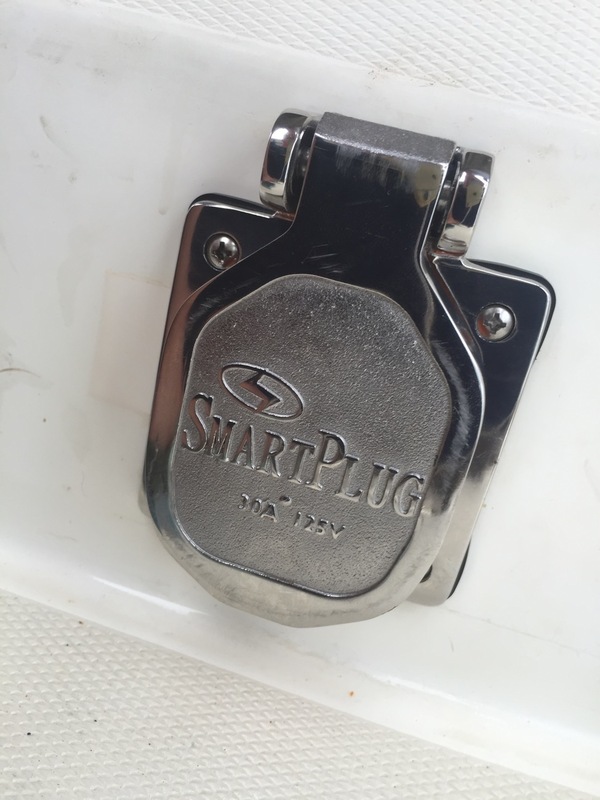 This morning I installed the new SmartPlug. Took about an hour… but was super easy. They provide perfect instructions, and everything went as expected. Now I have confidence in that connection. 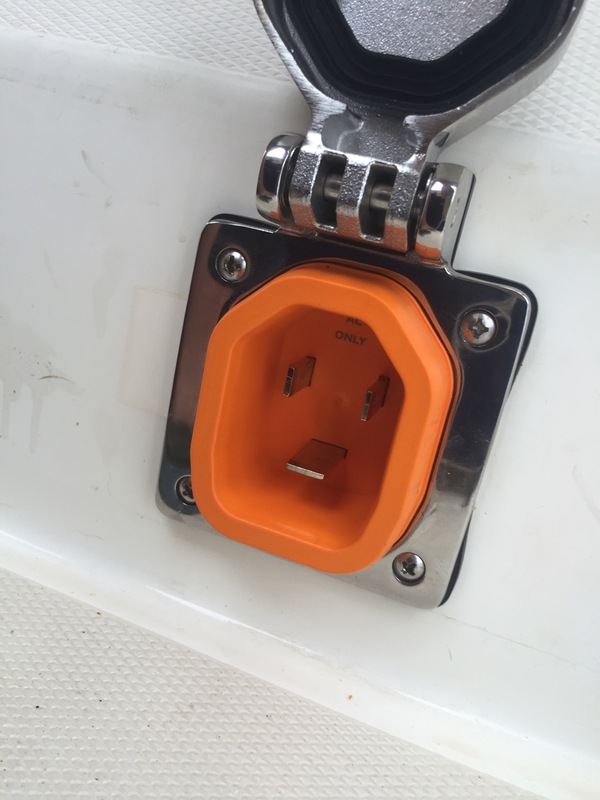 Not only do the prongs have way more contact area, but the actual plug connects so positively that you know it’s in, and won’t come out accidentally. To me, this connection is like having a big anchor when a storm rolls in, probably would have been fine without it, but now I sleep better. 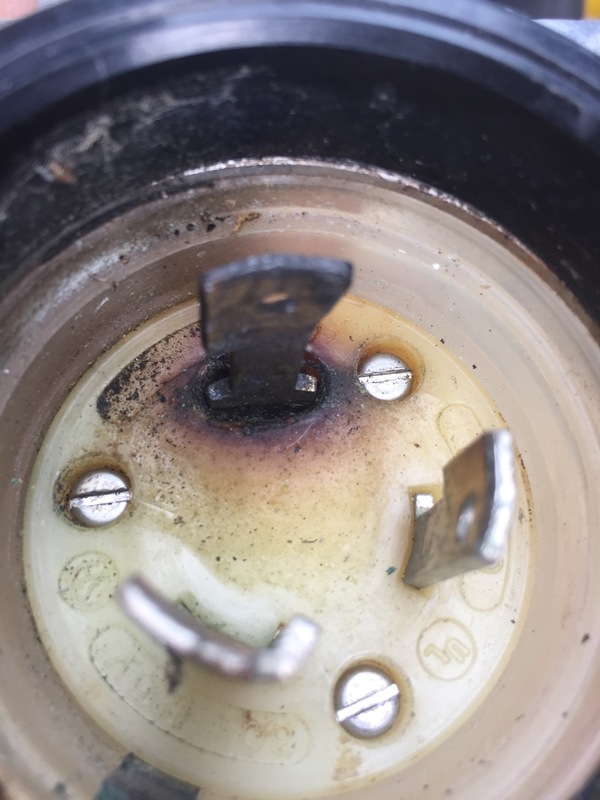 This entry was posted in Electrical, Repair/refit/upgrade. Bookmark the permalink.